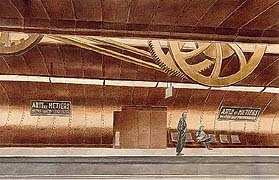 Arts et Métiers (Arts and Crafts) is a station of the Paris Métro, serving Line 3 and Line 11, and one of the most impressive of the Passages to the Obscure Cities 1). 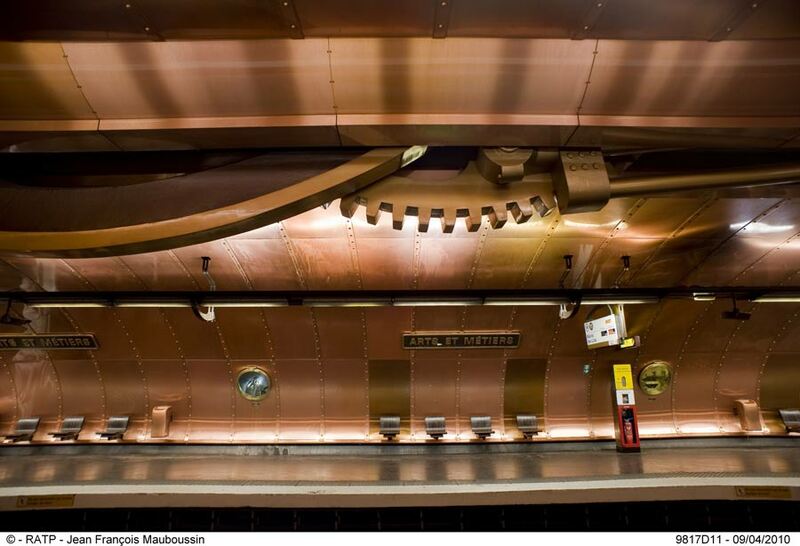 It takes its name from the Musée des Arts et Métiers, which is served by the station. It opened on 19 October 1904 as part of the first section of line 3 opened between Père Lachaise and Villiers. 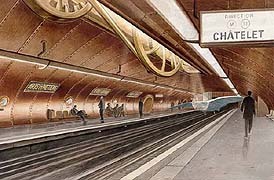 The line 11 platforms opened as part of the original section of the line from Châtelet to Porte des Lilas on 28 April 1935 2). 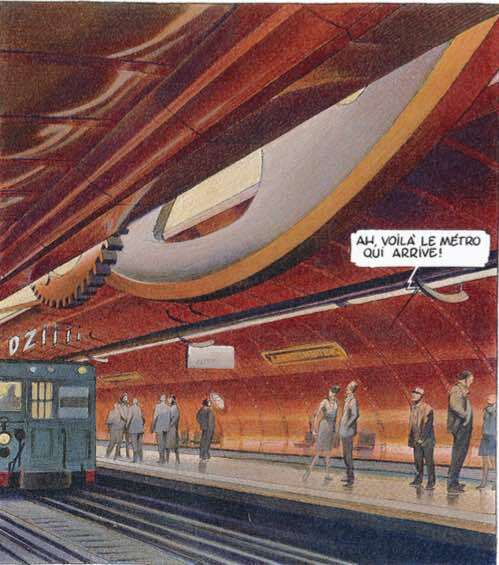 To mark the bicentenary of the Conservatoire National des Arts et Métiers in 1994, the station was redesigned by by François Schuiten, with portholes decorated by Bleu Méthylène. Described in a handsome booklet with text by Benoît Peeters, published in 1994 AD with a limited print of one thousand. Arts et Métiers can also be found in the second album of Revoir Paris 3). The portholes are decorated by Bleu Méthylène. Some videos shot in the metro station Arts et Métiers.